My wife and I are self taught wine imbibers. Sure, we know our Pouilly-Fumé from our Pouilly-Fuissé, but we’ve never had the pleasure of instructor led tuition. To put that right we treated ourselves to a 5 week course at the excellent Chester Beer and Wines, the first session of which was this Monday. The congenial instructor Mervyn had acquired 6 bottles for us to taste, his idea being to supply a wide variety of contrasting wines: for example, a tart white followed by a flabby one. The end result was a group of wines that may not have been the best I’ll taste, but were all the more interesting as a selection. First up was the Muscadet Sevre et Maine Sur Lie 2014 (£10.75). 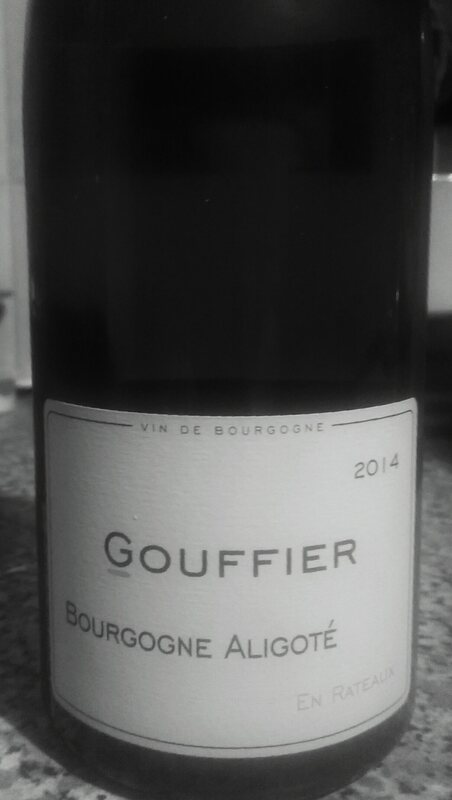 Now Melon de Bourgogne is neither my cup of tea nor my glass of wine, but this wasn’t bad at all. Pale green in hue with apple dominating the nose, on the palate it was all sharp acidity – completely dry with a short finish. Contrasted with that was the Adobe Reserva 2015 Gewurztraminer (£8.75) from the Rapel Valley in Chile, a wine the Germans might call halbtrocken, and I would call flabby. It was a thought provoking juxtaposition – it seems the mouth will forgive too much acidity more readily than too little. We then moved on to the reds, and my first real disappointment of the night, the Les Pivoines 2013 Beaujolais Villages (£9.75). I’ve been drinking a fair bit of Beaujolais recently, and expect three things: Bright acidity, red fruit flavours and a lightness of body – this was lacking in all three. Maybe it’s just a year too far for this wine. Better was the Finca Los Prados 2013 a Cabernet Sauvignon / Malbec blend from San Rafael in Argentina. Garnet coloured and full bodied, it was packed with blackcurrant flavour, it’s darn good QPR at £8.50 – my guess was in double figures. Equally good but quite different was the 2014 Bodegas Jan Gil ‘4 Meses’ Monastrell (AKA Mouvèdre or Mataró) . Plenty of plum and vanilla, with nicely balanced structural elements though not overoaked, I’d like to try this again, and at £9 I probably will. Having with the reds demonstrated full versus light body and the effects of oak, to my horror we finished with a dessert wine. I like to think I can drink most beers, wines and spirits, but only mead presents more of a challenge than a Tokay or a Sauternes. But I was actually pleasantly surprised by the Ginestet Classic Sauternes 2013. Perhaps it was the relative youth of the wine, but there was plenty of acidity and citrus to balance the cloying sweetness. Again I overestimated the price, £12.25 for a 50cl bottle seems quite reasonable to me. We left the tasting (via a swift pint in the Faulkner) but I still had a thirst. A sortie into the garage revealed this little number, a Domaine Gouffier Bourgogne Aligoté. We had bought this at a small tasting session when on holiday in Burgundy last year, and at the time it felt like a sympathy purchase. Aligoté is very much Burgundy’s third grape, and seems to be held in contempt even there, fit only to be drunk with a splash of cassis. But what a difference a year makes! Mouth watering acidity and the kind of minerality you expect from a Chablis or a Pouilly-Fumé. I didn’t see that one coming, a pleasant surprise indeed!